I just received some new wines from my wine club The Taste of Monterey. It is always interesting to see what wines are being featured and to be truthful I am appreciating the wines more and more from Monterey, which is a good thing, since I am paying for these wines. The brochure that came with this shipment has a fine article about one of the nine AVA (American Viticultural Area) in the Monterey County AVA. The nine AVA in Monterey County are: Santa Lucia Highlands, Arroyo Seco, Carmel Valley, Chalone, San Antonio Valley, Hames Valley, San Lucas and San Bernarbe, as well as the general appellation. The article mainly dealt with the Santa Lucia Highlands, and I have mentioned this area many times, as I have had some excellent wines from this sub-zone. 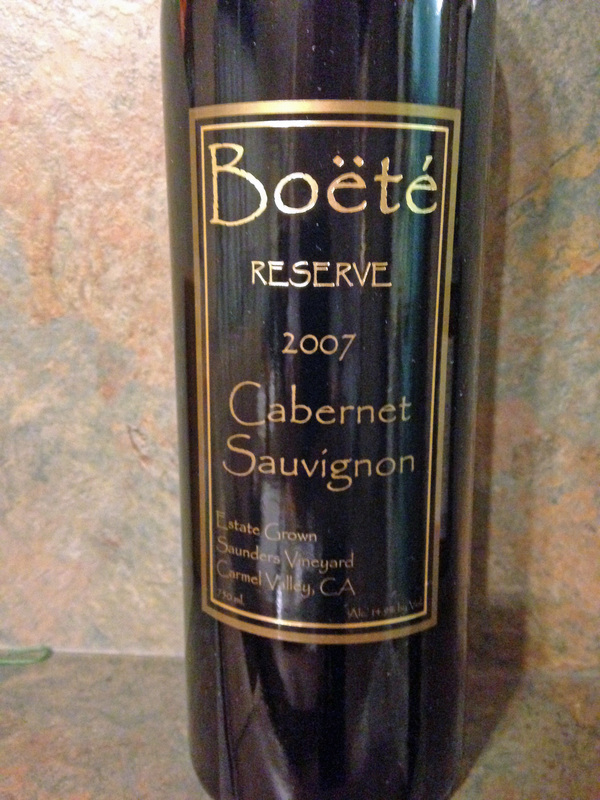 The first wine that I will discuss is Boete Cabernet Sauvignon Reserve 2007. I have had a couple of wines already from Boete Winery and they have always been their Cabernet Sauvignon and this will be the first time for their reserve wine and I will look forward to trying this one. This wine is from the Carmel Valley. The notes with this wine say the wine was aged for twenty months in sixty percent new French Oak barrels, and it was racked twice prior to bottling. There were 233 cases produced of this wine and the aging potential is estimated at six to ten years, so I can wait awhile for this one. 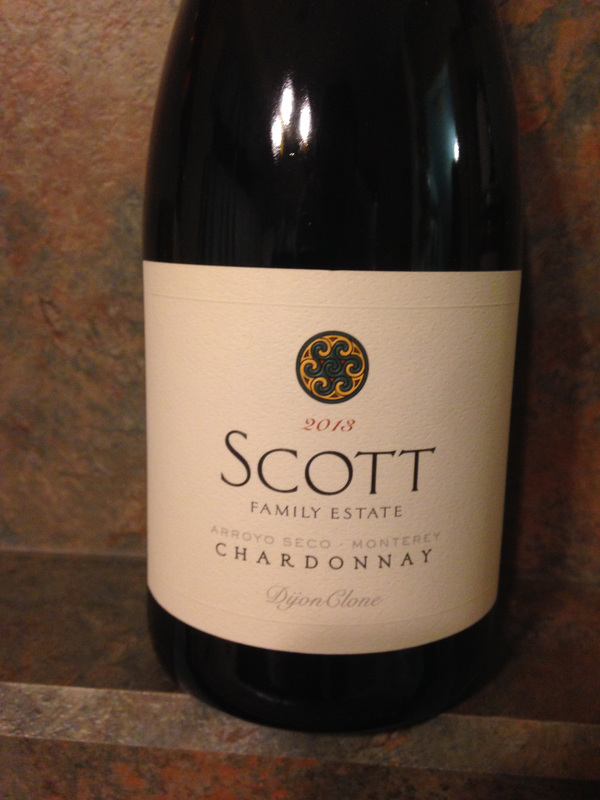 The second wine that I received is a bottle of Scott Family Estate Chardonnay 2013 from the Arroyo Seco AVA which in inland from Big Sur. This is considered one of the coolest coastal regions and they normally have an extended growing period, sometimes even a month longer than Napa Valley. This wine enjoyed fifty percent barrel fermentation, but there were no notes on the amount produced, so I would venture to say that this wine has a large production, and the aging potential is suggested of four to five years. As I tend to read between the lines, I may drink this wine sooner, as I find that most Chardonnay wines are better young. The last wine that I unpacked was a new wine from an old favorite of mine; Paraiso Vineyards Faite Pinot Noir 2010 from the Santa Lucia Highlands. 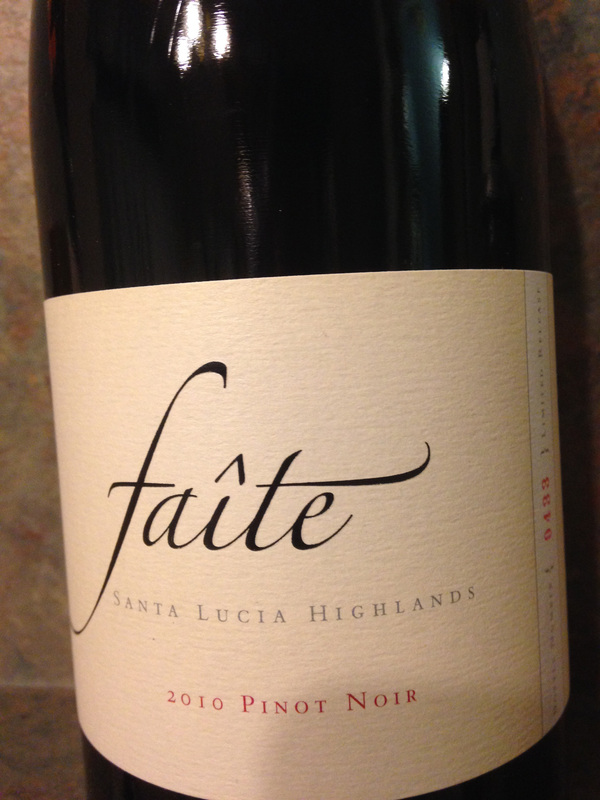 The Smith family of Paraiso Vineyards is one of the pioneering viticulturalists of Santa Lucia Highlands and they have named this wine Faite, which in Burgundy suggests a summit or mountain top, and this wine is the pinnacle of their four decades of growing the finicky Pinot Noir. There was an overload of technical data about the blocks of grapes grown for this wine, which tends to be a bit “Greek” to me. Suffice it to say that each block of a different clone of this grape was fermented in separate tanks and then the wine was blended into six French Oak barrels. There were 148 cases of this wine produced, and each bottle of wine was numbered and the aging potential of this wine is estimated for five to seven years, which I thought was short, but then again, they are probably better at these estimates than I am. This entry was posted in Wine and tagged "A Taste of Monterey", Arroyo Seco, Boete Reserve, Boete Winery, Cabernet Sauvignon, California, Carmel Valley, Chardonnay, Faite, Monterey, Paraiso Vineyards, Pinot Noir, Santa Lucia Highlands, Scott Family Estate. Bookmark the permalink.